I did not make New Year’s resolutions this year. This year’s (hell, most years’) excuse is that it’s just another day, a single turn of a calendar page, so… Whatever. No big deal. But of course, I’ve written in the past about my inability to keep resolutions, so I know it’s just a rationalization, you know it’s just a rationalization, we all know it’s just a rationalization. And yet, I was still planning to just slide into the new year. 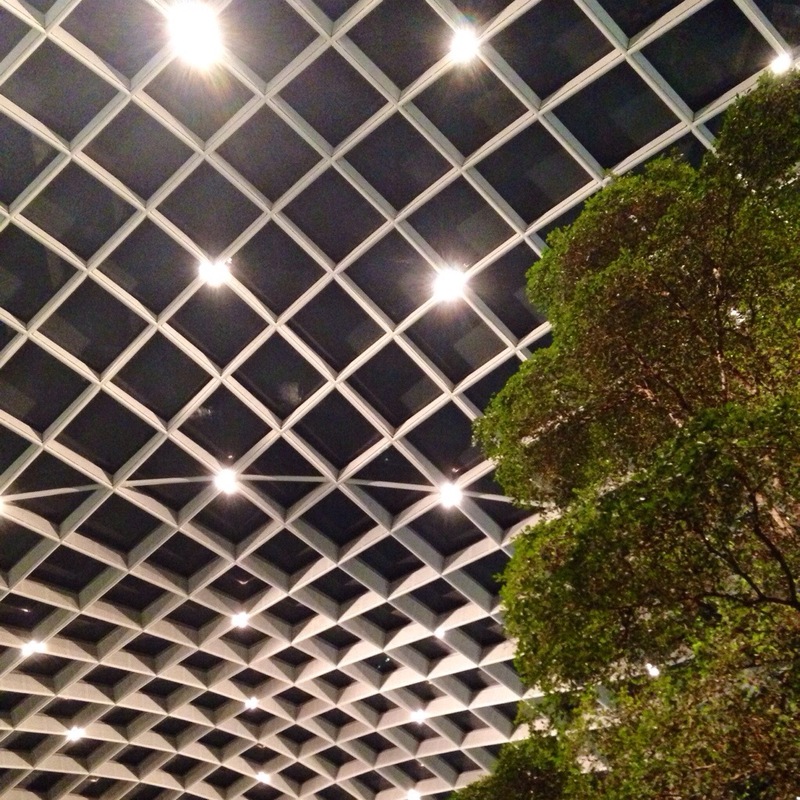 Once I started reading my friends’ goal-setting posts, however, my resolve to remain unresolved began to waver. Julia is going to be freeing up mental space for creativity. Paul is thinking about improving his Crossfit skills. Jenna has made some decisions about what she won’t be doing in 2014. Though as different as can be, these resolutions have one thing in common: they’re all daunting, to me and presumably, to their writers. 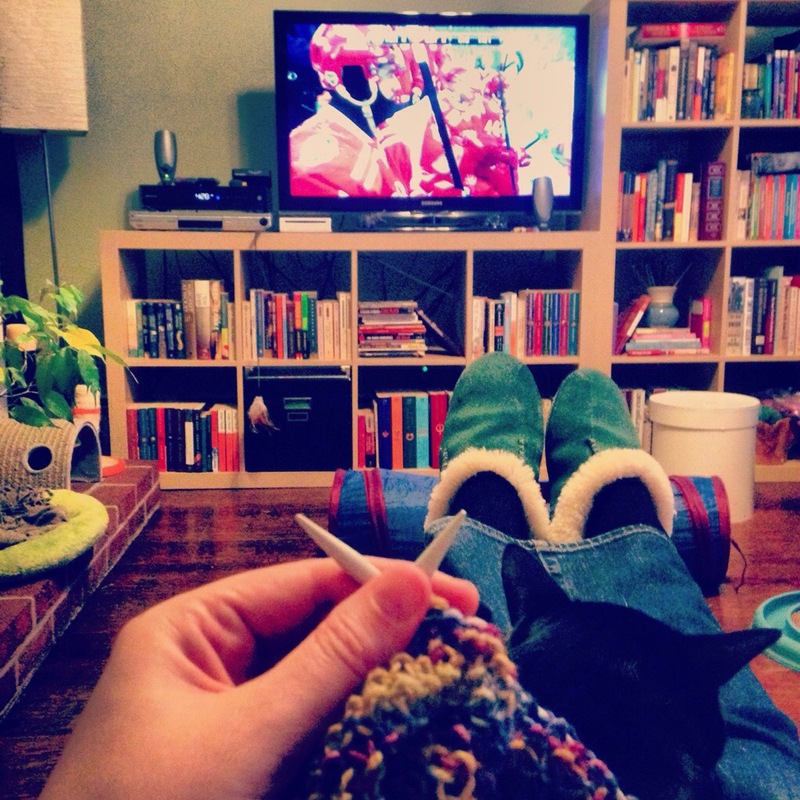 The bulk of my New Year’s Day involved a cat on my lap, knitting in my hands, and hockey on my tv. I posted the picture above online earlier today with a caption that read in part, “Starting 2014 content.” And in the spirit of “begin as you mean to go on,” content is not a terrible way to kick off a year. It’s quite a good one, in fact. Now that I’ve read my friends’ intentions for the new year, though, I’m thinking that daunted might be better — or at least a smidge more proactive. Did you do the snail-mail resolution from last year (or wasn’t that a resolution? It sounded fun, though!)? Actually, I think it was the year before last, and no… never got off the ground with it. Good question from @dakani32! January 1 is a bad day to start on resolutions anyway..January 2 is better. You could also break things into seasons or themes or quarters if you like, to make things less daunting? Instead of trying to focus on several things all year. Good luck, whatever you decide to do!